The Australian Centre for the Moving Image (ACMI) and Virgin Australia Melbourne Fashion Festival (VAMFF) present a series of stylish films to discover late summer, 2015. Presented as part of the Virgin Australia Melbourne Fashion Festival (VAMFF) Cultural Program's Project Series 2015, the ACMI's Fashion on Film, will host a selected range of movies and documentaries related to fashion, screening from Saturday 21 February to Sunday 8 March 2015. This season focuses on the evolution of fashion, journeying back to the iconic trends of the 1990s through to the stylish streets of Naples and the pioneering fashion house of Balmain. The first film of the season will see the screening of And Then There is Naples (E poi c'è Napoli) (2014); an Australian premiere. Director Gianluca Migliarotti travels to the fashion capital of men's tailoring, documenting Neapolitan trouser maker Salvatore Ambrosi through the ancient city of style. Audiences will be introduced to local designers and commenters offering a rare insight into the art of tailoring. Other traditional crafts are explored, which lead to a captivating exchange with a 120-year old Portolano glove maker and a couple of even older luggage and shirt makers. Complimenting the screening will be a short 4 minute film by Noel Smyth, titled POP. 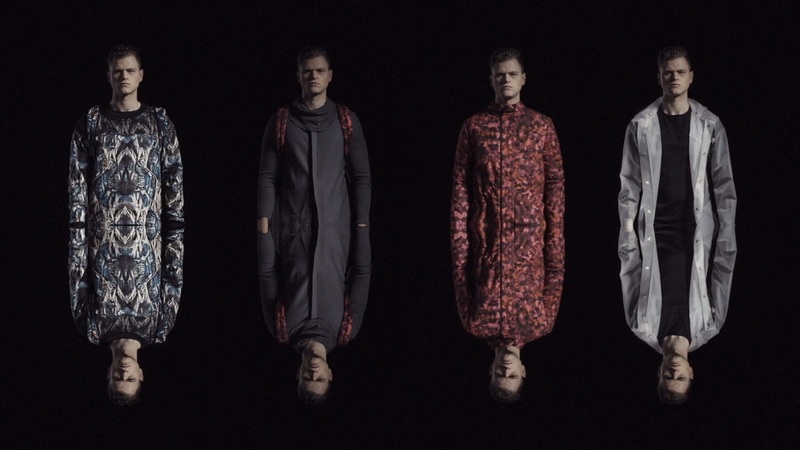 A finalist in the VAMFF Film 2015 competition, POP showcases the latest Melbourne-made menswear collection from Article by Courtney Holm. 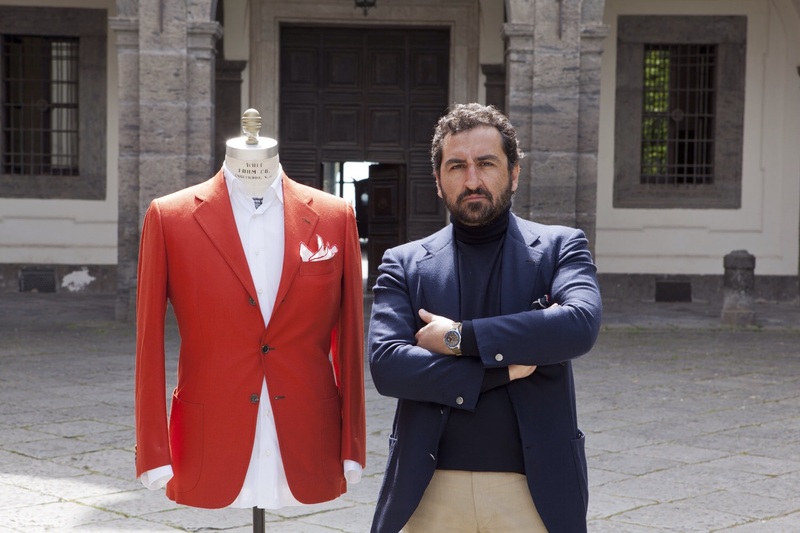 To coincide with the first screening of And Then There is Naples, ACMI Film Programmer, James Nolen will host Sartorial Saturday, a two-hour guided walking tour of Melbourne that uncovers the many exquisite products featured in the documentary. Meet at the Tickets & Information Desk at 11am and dress to impress. A refreshment will be included. More here. Another Australian premiere; Fashion in the 1990s (La mode des années 90) (2014) pays tribute to the decade of stark fashion contrasts, from Helmut Lang's revolutionary minimalism to Walter Van Beirendonck's colourful techno tribes. Director, Loïc Prigent (Signé Chanel and Marc Jacobs & Louis Vuitton) delves deep inside the historical world of fashion, casting a spotlight on the 1990s – an era when designers such as Jean Paul Gaultier, John Galliano, Karl Lagerfeld, Thierry Mugler and Christian Lacroix featured in the fashion spotlight. This is an opportunity to see archival footage highlighting a decade filled with fearless fashion and social change. A short 3 minute film will accompany Fashion in the 1990s; Crystals and the Postman are a Girl's Best Friend from accomplished fashion photographer Ellen von Unwerth, features the label Sister by Sibling and Swarovski crystals. Crystals and the Postman are a Girl's Best Friend is a finalist in the VAMFF Film 2015 competition. Another Loïc Prigent's documentary; The Balmain Style (La Ligne Balmain) (2014) lifts historical footage of founder Pierre Balmain to combine with the modern day vision of designer, Olivier Rousteing as he brings the Autumn/Winter 2014 collection to life on the runway. At only 28 years of age, Rousteing has injected a revitality into the hallowed fashion house of Balmain; a label established after WWII and worn by fashion icons such as Katherine Hepburn, Sophia Loren, Brigitte Bardot, Rosie Huntington-Whiteley and Rihanna. Premiering in Australia, The Balmain Style pays attention to Rousteing, and how with only a few seasons, he has ear-marked his spot in the new wave of fashion designers, re-energising celebrated fashion houses of Paris. 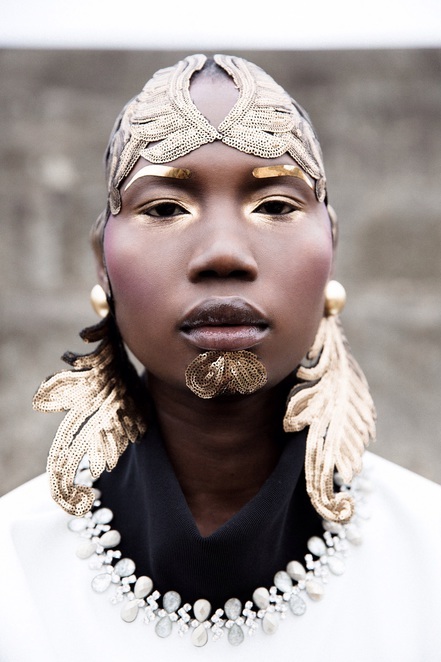 To compliment the documentary, a short 2 minute film by Julian Lucas's and Jarred Osborn's short film; Aaizel, produced by acclaimed fashion filmmaker Hannah Bellil, showcases the designs of Minhee Jo in her second womenswear collection, featuring models Adhiel Tuba and Nichola Jayne. Aaizel is another finalist in the VAMFF Film 2015 competition. Pop Models (Les Mannequins, corps de la mode) (2014), a documentary by Olivier Nicklaus (Fashion Pack), chronicles the transformation of the fashion model from the liberation of Paris after the Second World War, to the rise of the supermodel, through to the 21st century, when a boy from Broadmeadows stole the show. Interviews with fashion heavyweights; magazine editors, photographers and the models themselves, capture the evolution of the model. 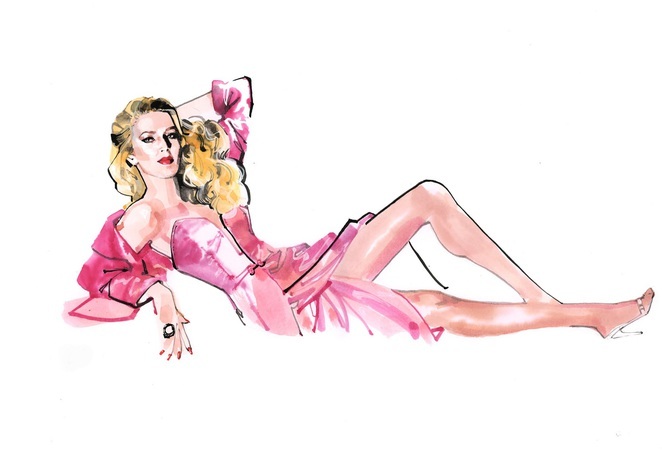 Twiggy, Marisa Berenson, Jerry Hall, Cindy Crawford, Naomi Campbell, Linda Evangelista, Christy Turlington, Tatjana Patitz, Cara Delevigne and Melbourne's own Andreja Pejic are just some of the names that feature in Pop Models. Cover Girl (4 mins), a short film by Henry Joost and Ariel Schulman, accompanies Pop Models. One of the international finalists in the VAMFF Film 2015 competition, Cover Girl follows Lena Dunham (of Girls fame) as she prepares for her first Vogue cover shoot. The Australian premiere of Dressed up for Summer 205 (Habillé(e)s pour printemps-été 2015) (2014) wraps up the season with Mademoiselle Agnès and Loïc Prigent rounding up the seasons major fashion parades by Dior and Chanel, to the farewell marathon Miss France-inspired Ready to Wear runway show by Jean Paul Gaultier. Moschino's creative director, Jeremy Scott, offers his five cardinal rules of politeness during fashion week, whilst across the pond, 26 year-old Thomas Tait shares the hottest trends from British designer, Burberry. Mademoiselle Agnès also takes a look back at 30 years of fashion in her own unique way. Dressed up for Summer 2015 screens with Palladian, a 3 minute short film shot by Peter Ryle at Melbourne's Abbotsford Convent, featuring Melbourne label Kuwaii. Director Tim White reaches the VAMFF Film 2015 competition with Palladian, in which his beautifully shot documentary drss inspiration from David Lynch's Twin Peaks. ACMI and VAMFF Fashion on Film season will screen at ACMI from Saturday 21 February to Sunday 8 March 2015. Click here for tickets and information.